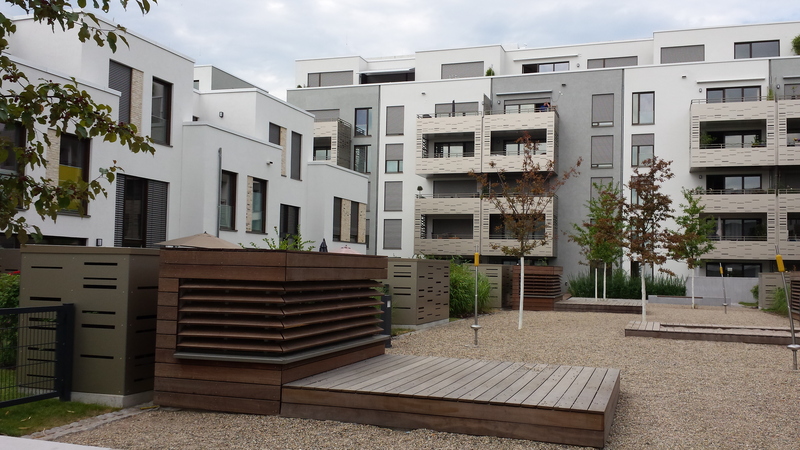 Conversion of former railway premises into the largest Passive House settlement in the world. Supplied with renewable energy the aim is to achieve one of the largest zero-emission district. It also fullfills the requirement of the EPBD for NZEBs already today by using the Passive House standard supplied by renewable energies. New urban district with accommodation for ca. 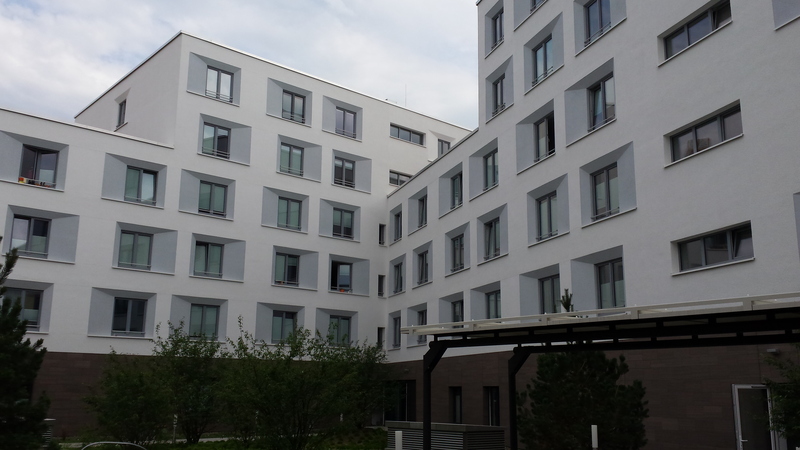 12000 occupants and 7000 workplaces built according to the Passive House Standard (offices and university-related services such as laboratories, retail (food and non-food), restaurant, hotels and cafés). 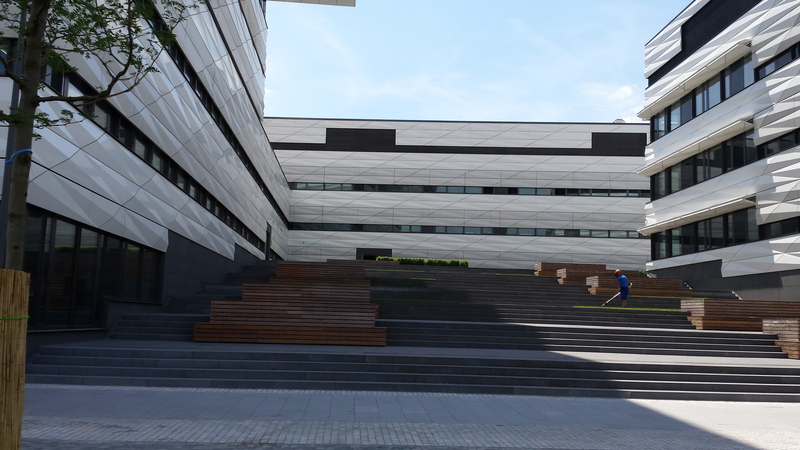 Stage of development: First stage of construction has been completed and was officially inaugurated on 19, July 2014: University campus, offices, student accommodation and residential houses are completed, some buildings of the first stage of construction have been inhabited since June 2012. 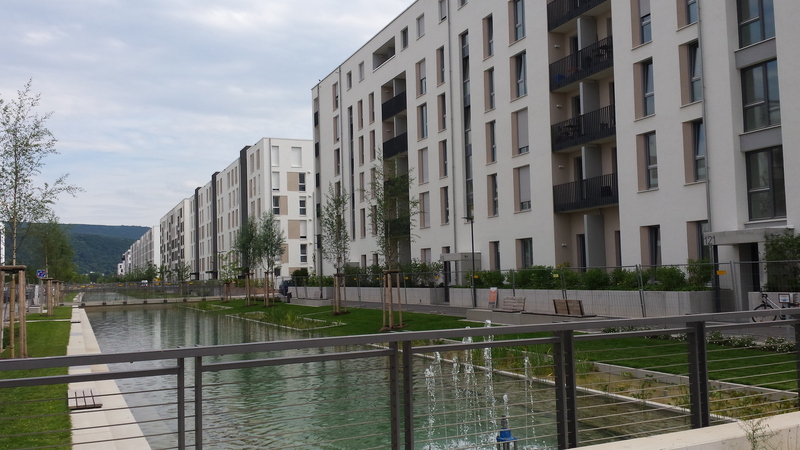 In May 2014 1500 people lived in ‘Bahnstadt’. The second stage of the development is in the construction phase of the first building. The construction of a shopping center will be started end of 2015/beginning 2016. Recently the City Council has decided to develop a master plan to include also a primary school, a nursery and a community center. The overall completion expected around 2022. Quality assurance: The PHPP as a requirement for energetic design and quality control, airtightness concept and concepts for prevention of thermal bridges. Documentation of flow rate adjustment ventilation systems and airtightness test are compulsory. PHPP must be accepted by the City and inspection of the building sites, e.g. thickness of insulation, examination of main components, final acceptance, testing of the building components and technical inspection Monitoring taking place during the work will be published. 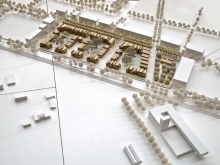 Innovation: 'Bahnstadt' aims to become the world largest Passive House settlement and one of the largest zero-emission quarter worldwide. 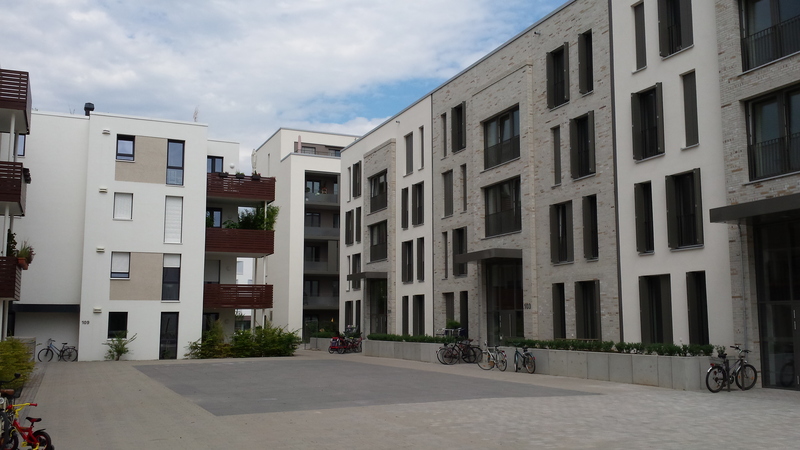 Many non-residential buildings will be realised in the Bahnstadt Quarter e.g. PH cinema. Traffic: Good local public transport connections including trams and buses, new cycle routes, separate network of cycle routes to the university, additional routes on bridges over the railway tracks. Useful space will be freed up by means of underground car parking under buildings. Nature conservation: Green roofs will be compulsory, rainwater retention systems, seepage of rainwater into the earth on the premises (50% of the total amount of rainwater will seep into the earth) Decreased land use: Less land will be used because this is converted land use, higher proportion of free land due to compact development Soil management: Least possible soil will be moved away from the area, excavated earth will remain in the Bahnstadt area as far as possible Project team: City of Heidelberg, principal developer EGH (Entwicklungsgesellschaft Heidelberg (Heidelberg Development Association)) Awards: 'Bahnstadt' is the winner of the Passive House Award 2014 in the categorie 'Regions'. Energy efficiency: Passive House standard. The PH standard must be qualitatively verified (PHPP) and tested using a special testing method within the framework of the building approval procedure. Approval will not be possible without the PHPP. 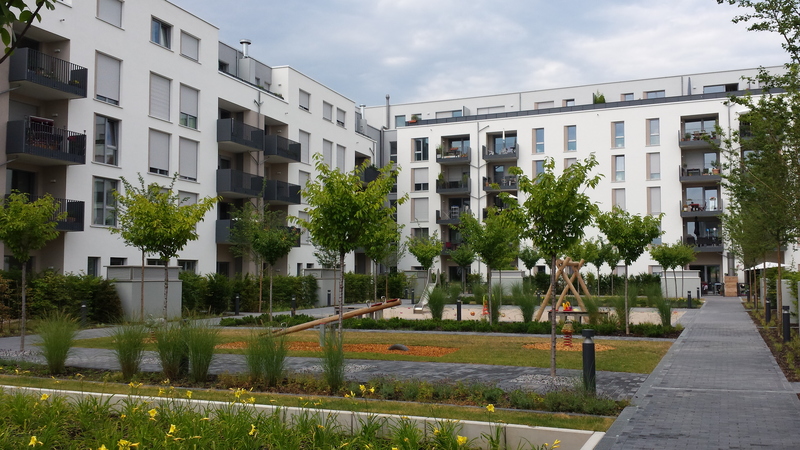 The overall energy-efficiency concept was specially developed for the Bahnstadt and is made available to all investors. The energy-efficiency concept also includes the topic of "electricity conservation". Use of renewable energies: 'bahnstadt' is supplied by a biomass cogeneration plant (woodchips) officially inaugurated in April 2014. Yearly it uses 60000 to of wood. 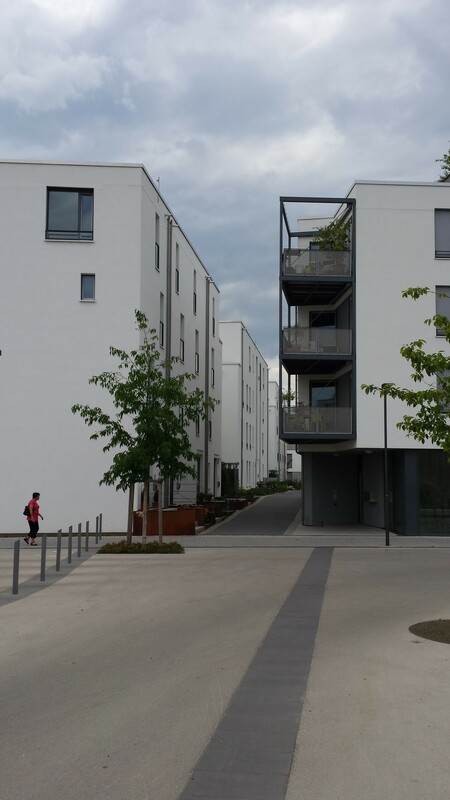 90% of the wood is residual wood from landscaping in and around the City of Heidelberg. Yearly 80000 MWh of heat and 24000 MWh electricity for 6000 Passive Household are produced. This plant saves 30000 to CO2 per year. It is one of the largest decentralized plant in Germany which is based on cogeneration of heat and power. Additionally the single buildings use also geothermal energy.